When did you last update your website? The answer to that question forms the core of any digital marketing plan to increase your conversion rate. Websites need to be monitored and updated on a regular basis. But making changes that add value is important when formulating the PPC landing pages or kick-starting a PPC campaign. Even for an email marketing campaign, split testing or A/B testing is essential for maximizing conversions. In this blog, we will discuss how to use split testing to maximize conversions, the benefits of A/B testing and how it all works. Before starting A/B testing, you need to be clear about how it works. This is not just a one-time thing. Testing is continuous if you want to attain digital marketing success. Continuous A/B testing makes websites, PPC landing page, PPC campaigns or even email marketing campaigns more efficient. Here’s how you can use split testing to boost conversion rates. For digital marketing success, A/B testing must be understood. Split testing essentially involves creating a hypothesis about a specific element and then test to see if the theory was right. For testing a website or landing page, for example, you need two different versions. Around 50 percent of the site traffic goes to one version and the other half goes to the other variation. Once the test is set up, you need to see which version gets the higher conversion rates. Then, you need to draw conclusions and update the site with a version that converts traffic most effectively. What is tricky about A/B testing is deciding which tests to run and choosing the elements for testing. For landing pages, for example, focus on the call-to-action button, as this gets individuals to convert. The buttons are different for every industry. It depends on the goal for the specific landing page, too. Some may be trying to drive sales, while other businesses may be looking to opt-in visitors for their email subscription lists. The key lies in picking one element to start with. Remember that you don’t want to test multiple hypotheses at once because this does not provide conclusive results to know which variation impacts results. Tests need to be run continuously for maximizing efficiency. For example, on a PPC landing page, you need to check the color, placement or size of the CTA button. For your PPC campaign, designing a site with a larger CTA button leads to higher conversions. One can test the actual text written on the CTA button. Testing power words against action words may work. Another key split testing element is the CTA button analyses where one moves on to other website components that stand out the most. Headlines and subheadings jump off the page, so it makes sense to test these. The right wording and the entire value proposition are important. Along with the conversion rate, you need to study analytics that shows for how long each visitor remains on the page. For example, if one headline yields significantly longer average page viewing time than the variation, this impacts conversion rates positively. 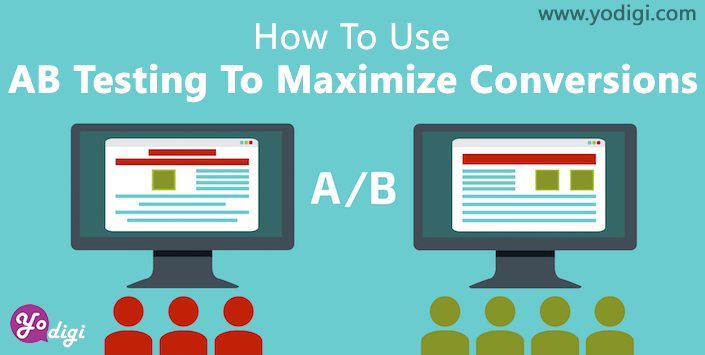 A/B testing can also test the checkout process for maximizing conversions. Digital marketing specialists can easily infer which elements work and which can be tossed away. Images that convert are a real asset for your PPC campaign or digital marketing initiative. Deciding where to use images and place them is an important part of maximizing conversions. Test different color schemes in your PPC landing pages to increase your conversion rate. A/B testing is not limited to just the website. Email marketing campaigns can also be split tested and factors within these campaigns assessed. Here, the focus can be on CTA, images, colors, headings, and texts. Other factors need to be tested as well. For example, digital marketing experts can split-test the subject lines of the emails. The content of the email message may be the same, but if there is a significant difference in conversions and open rates based on subject lines, this can impact your chances of being able to increase the conversion rate. Another aspect you need to test is the word count of the email marketing campaign. Recent studies show that emails from 50 to 125 words have the highest conversion rates. If you want to increase your conversion rate, it is essential to test the elements of the website. Email marketing campaigns should also be evaluated by revisiting early tests. Tests should run for at least some weeks and sample size should be large enough to yield conclusive results. A/B testing remains one of the best ways to raise conversion rates. The process needs to be a continuous part of the marketing strategy. The aim should be to make improvements to the site. For your PPC landing pages, test aspects like CTA buttons, checkout process, and headlines. Test visual images and color schemes on the landing pages as well. This strategy can also be applied to your email marketing campaign. Once testing is over, move on to other elements. Once everything is tested, start at the beginning. So, how do you test the landing page or PPC campaigns for conversions and page optimization? When it comes to improvement in digital marketing, A/B testing is the way to go. Ads, landing pages, websites, and marketing emails, should be tested periodically to ensure the business gets the best returns on investment. A/B testing is a strategy in digital marketing in which there are two variations or versions namely A and B, which are the control and the treatment. These are tested against each other. The goal is to identify changes in increasing the chance of what should occur. Many online split testing tools permit you to check both versions. The test is run till one version is more successful with a 95 percent confidence level. A/B testing focuses on headlines of the landing page, images that are high resolution and non-stock and a video introduction of brands and platforms of around 3 minutes. The landing page can be tested for format, text, videos, and images through the testing cycle to find where the most responses are attained. The split testing process is continuous. This is not just because there is a need for continuous optimization, but also because the landing page will need to be constantly monitored for conversions. Your competition is actively testing the latest iteration of the landing page and the effectiveness of the subject line in the email marketing campaign. If you lag behind, they will get ahead. So your customers need to be asked what works for them, and for this, A/B testing works most effectively. If you work to test 2 or more elements against each other, there are ways to increase your conversion rate and prevent customers from going to other vendors. Split testing can also help marketers to master digital marketing goals. The results of split testing are just about everywhere. Yet most digital marketing professionals need to understand its value. A/B testing is not an option for digital marketing professionals, it is mission critical to increase your conversion rate and maintain customers. A/B testing or split testing is the process of comparing two versions of a PPC campaign or email marketing campaign or PPC landing pages or websites and testing to see which one converts best. The first element is the control while the second is the variation that challenges the control. Often, there is a very tiny difference between the variation and the control – this may range across positioning, color, or wording. One needs to understand the site’s true conversion rate by assuming the particular version of the element or web page will perform better. Estimate the conversion rate, based on these factors. When two or more variations of the campaign are run, one can end up making smart decisions that impact conversion rates. An estimated range is essential while calculating conversion rates. Split testing or A/B testing is also known as controlled experimentation for this reason. The A/B testing plan provides a yardstick for measuring digital marketing efficacy over a period of time. Remember that you want to create emails and landing pages for maximum digital marketing impact. Designing and testing PPC landing pages, for example, is one of the biggest challenges for B2C / B2B marketing. 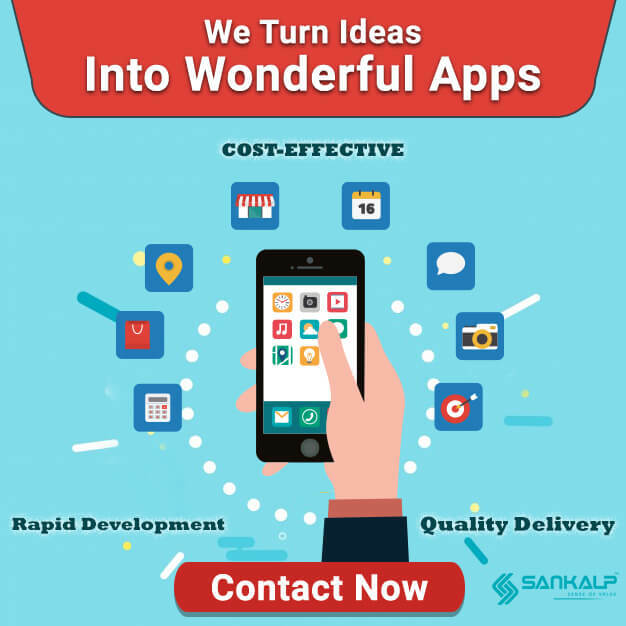 You need a plan that helps you in designing and experimenting your campaign effectively. A solid A/B testing plan covers each testable element, like pictures, text, background colors, the use of navigation structure and icons, headlines, number of pictures on the page and much more. Once a solid plan is developed, the conversion rate will improve consistently. In a research survey by RedEye and E-consultancy, 74 percent of respondents using structured testing for conversion improved sales. Doing A/B testing without considering online digital marketing goals and user behavior leads to ineffective testing. For this reason, it is essential to ensure goals are in place for every split test campaign. While developing a split-testing plan, the focus should rest on a structured plan. Tweak and get the best results. Every test requires testing, measurement, and prioritization. Each stage of the cycle should simplify the next. Tracking continually, one needs to get better results with split testing and make the most of CRO/conversion rate optimization. To start with, you need to know how much traffic your site is generating on a periodic basis. Know the factors that can work for and against you, too. Reviewing business objectives and what one is aiming to achieve comes in next. For example, for the email marketing campaign, increasing email sign-up rate by 50 percent or boosting click-through rates by 25 percent and open rate by 10 percent may be the goals. These objectives are measurable and help in bridging the gap between the times when visitors land on the web page through to the point of conversion. Before setting up a split test campaign, you need to review the objective to take advantage of conversion rate optimization. In the case of email marketing campaigns, for example, with more subscribers on the email list, the email campaign is larger and there are higher chances of scoring a huge open rate and building a loyal audience, to improve sales and expand the business. More email subscribers are not the end goal, but the means to an end. A realistic and measurable business objective means having the primary, measurable goal clearly defined to hone the overall marketing strategy and the steps to achieve each aim. Be clear about what you are measuring, as vanity metrics like page views and unique visitors or click-through rates can boost the ego, but tangible sales need to be recorded. Actionable metrics are at the core of a business. For an email marketing campaign, for example, the focus would be on the number of email subscribers generated, new and repeat sales or total business growth. Check if email marketing efforts actually translate to help you with what you need for a digital marketing plan. Brand awareness is another metric that must be considered. If key performance indicators need to be meaningful, they must stem from business objectives and be targeted. Based on available elements, campaigns can be fine-tuned to align with target audiences. Results can be significant and help in making informed decisions regarding marketing strategies. Other experimental testing methods may not be reliable, because, towards the close of the day, several factors can influence outcomes. With A/B testing, factors are controlled to a large extent when the right tools are used. Moreover, you don’t need special skills or knowledge to implement a split test that yields results, unlike multivariate testing which entails several processes. Few digital marketing experts can implement complicated tests given the shortage of time and resources. To get better results and find out how to increase your conversion rate, single elements on the web page need to be modified and split tests must be run to check if modification works or not. All one needs to do is get started with a handful of tools and one does not even need to get it right 100 percent. What is needed is to determine how many variations need to be tested and split the available traffic the page receives evenly among these. With a massive data pool, whether it’s a PPC campaign or an email marketing campaign, experiments with statistical significance run faster than businesses not collecting rich data from users. When a lot of effort and time is spent on creating web pages, it is a big disappointment when visitors bounce from the site without spending time reviewing content or viewing other pages. Check optimization using A/B testing and whether it’s modifying fonts, headlines or any other aspect on the page, direct comparison formed helps to find a winning combination and keeps visitors for longer on your site. Split testing remains the most effective way of boosting digital marketing, by creating content that converts visitors to stable customers. While comparing different versions of the campaign, it is easy to see what works and what does not. Testing two versions take longer but definitely helps in converting additional leads. Split testing helps to convert site visitors to buyers and attain higher values for your services or products. Once the form/page design converts, split tests offer more refined versions to increase your conversion rate. With just a bit of additional tweaking and diligent split tests, customers are willing to pay for costlier options that offer perceived value. When visitors check out your PPC landing pages or email marketing campaign, split testing can work for just any marketing and advertising campaign online and offline. The smallest tweaks can make a big difference in a combination that engages with visitors and yields results. Split tests also make it easier to analyze fact-based results. It is easier to assess what works and what does not base on simple metrics like a page, conversion rates etc. As more data is better for analyses of results, all you need are the versions to test. In some events, making a lot of revisions to the site result in cost-cutting. A/B testing examines visitor behavior on the site and helps to increase chances of success by preventing risks and attain increased conversion. A big issue faced by e-commerce firms is cart abandonment. Many estimates have found cart abandonment rates are from 40 to 75 percent. So, if you want to test recovery emails or prevent cart abandonment, split tests are extremely beneficial. Lower bounce rates mean better client engagement and more customer conversion leading to increased sales volume for businesses. Thus, A/B testing can really help digital marketing specialists to avoid guesswork and find out what really works. 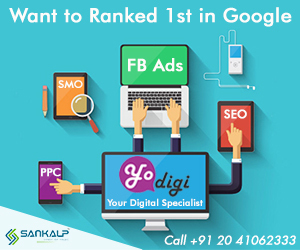 For the best digital marketing solutions in business, look no further than YoDigi, Sankalp’s amazing digital marketing offering. YoDigi is the exceptional digital marketing service every thriving business needs. Opt for YoDigi and grow your business in multiple ways. Google Plus, Twitter and Facebook. You can also visit our official site to get all the details.